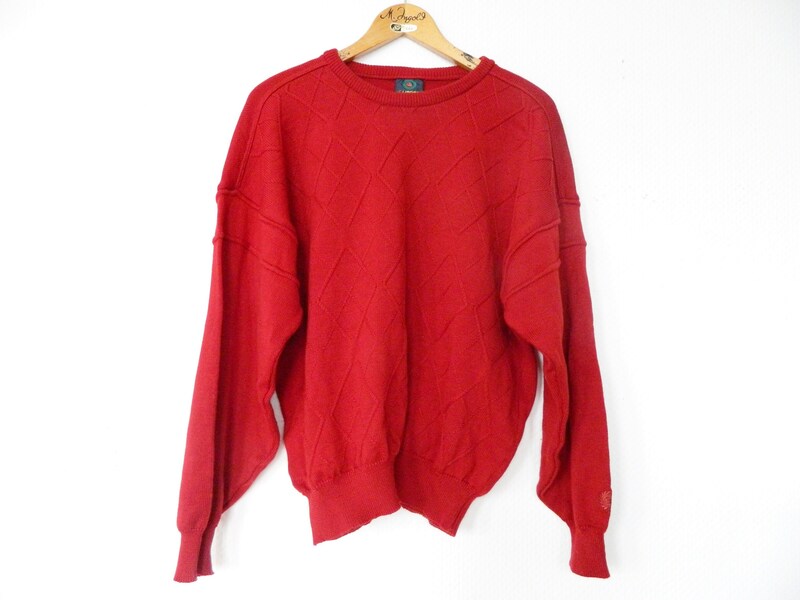 Sweater in a darker saturated red. Classic cut. Patterned front. 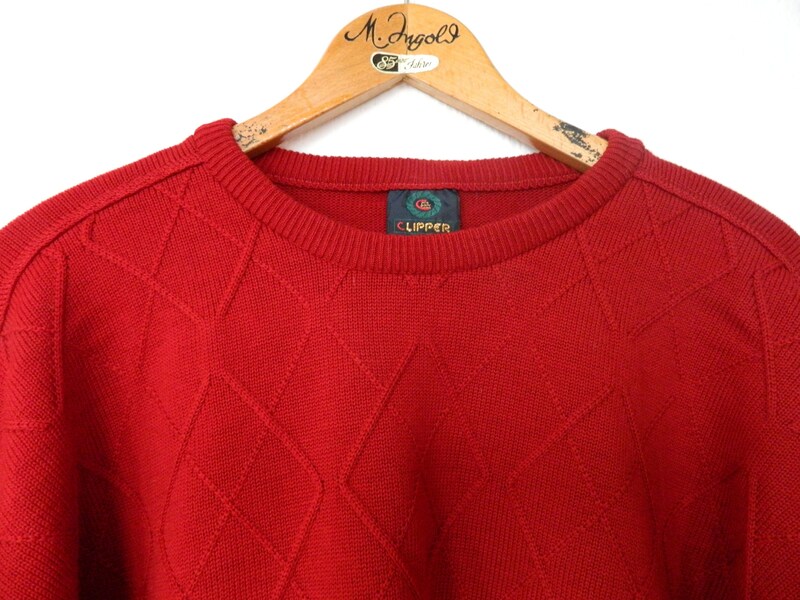 The sweater is in a very good vintage condition. 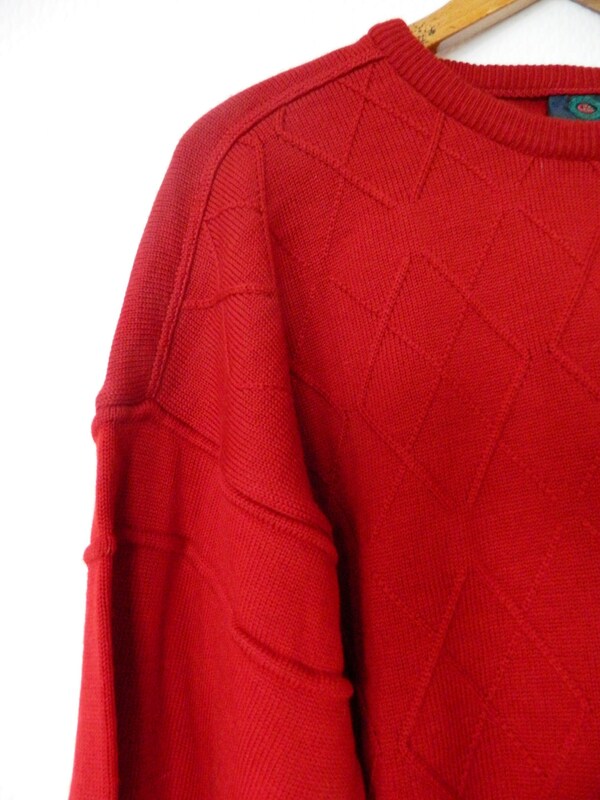 Sweaters in a darker full red. Classical cut. In front patterned. 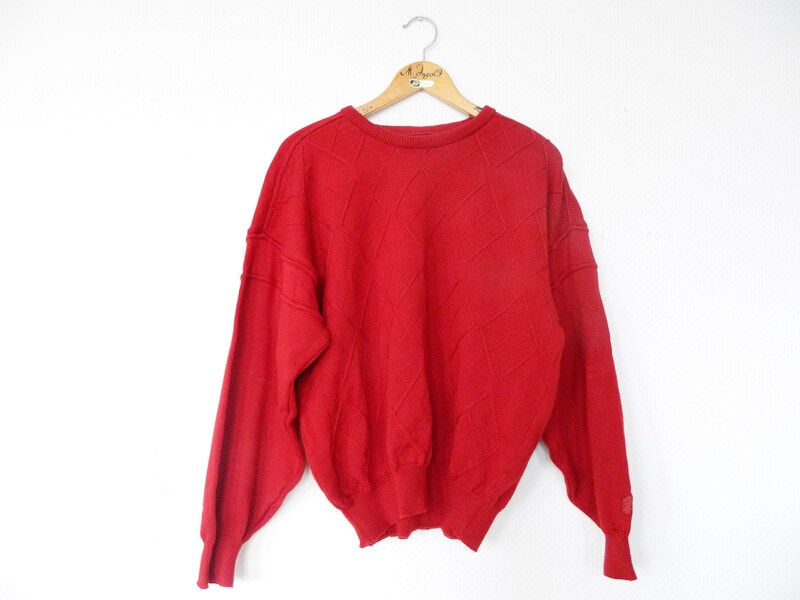 The sweater is in a very good vintage condition. 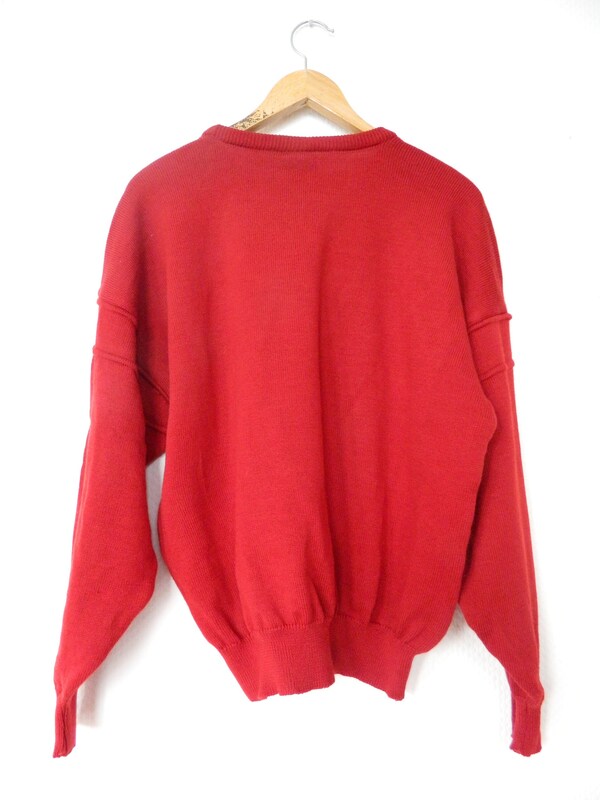 Length 62.5 cm, 25 "
From armpit to armpit (chest width) 60 cm, 24 "